How does Hominter protect my payments? Pay securely with your credit card without exposing your details. When paying online, your details is encrypted and transmitted without risk using a Secure Sockets Layer (SSL) protocal, so your transactions are always secured by Hominter. Learn more about Hominter Buyer Protection. Select your payment methods and then click "Continue" to go to pay for your order, you will be redirectd to payment page, and complete your order . Currently, you can pay using Visa, Amex, MasterCard, Discover, eCheck, Western Union, WebMoney and Bank Transfer. 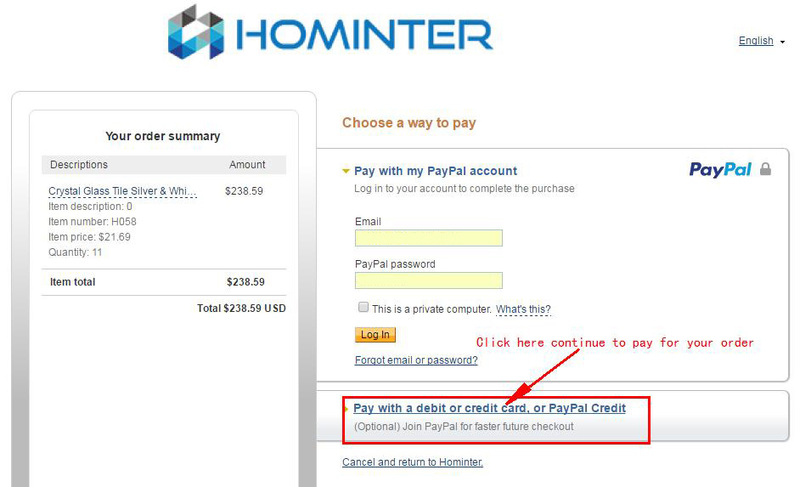 More payment methods will be available on Hominter in the future. Once your order is submitted, you will be redirected to PayPal's site where you could make the payment and it is safer. Payment does not require you to use your credit card online (you can transfer directly from your bank account). 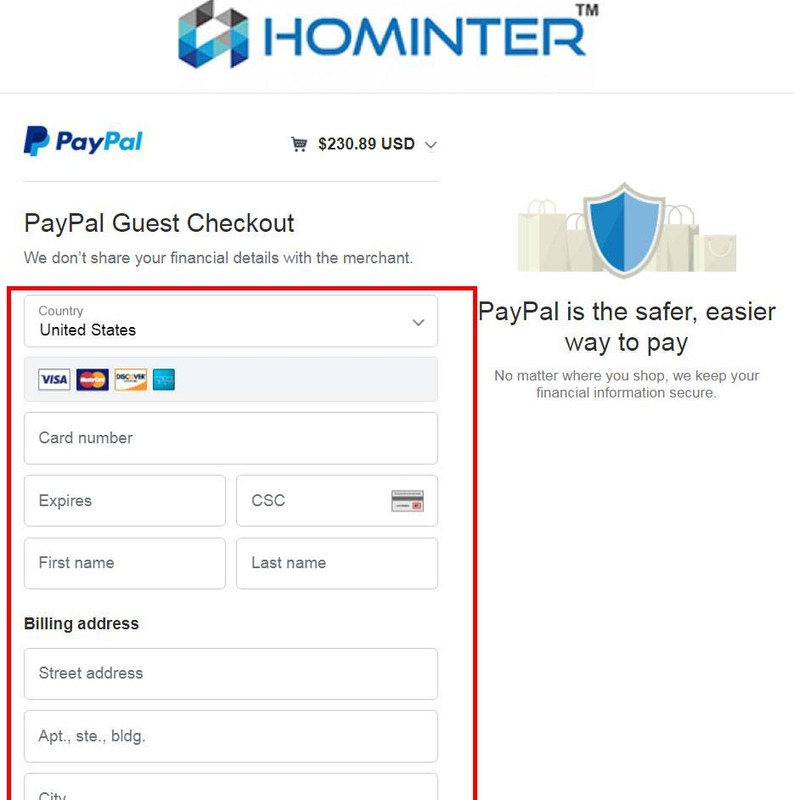 Hominter does not see your credit card number (it is safely encrypted through PayPal's server), which limits the risk unauthorized use. How do I pay with my Bank Account, Debit or Credit Card, or PayPal Credit? 1. 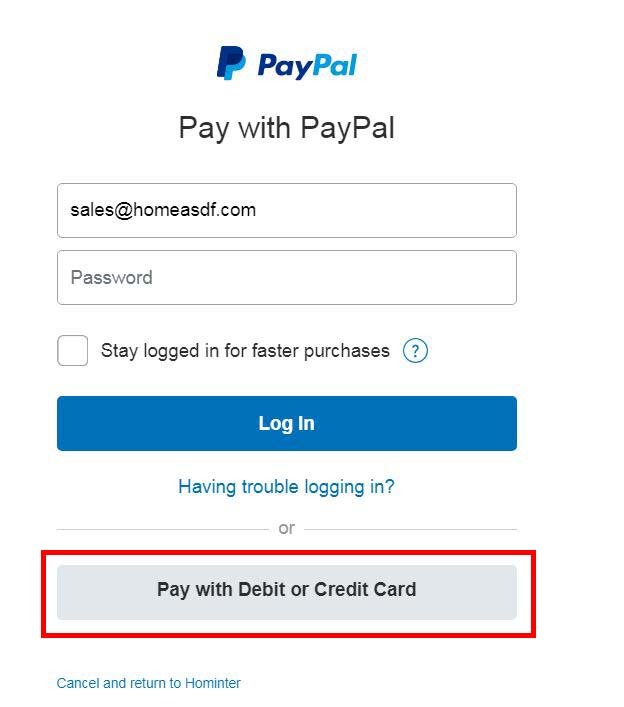 When placing your order, select "PayPal Express Checkout" payment method option and click button "Continue" to confirm the order, and then you will be redirected to PayPal's site where you could make the payment. 2. 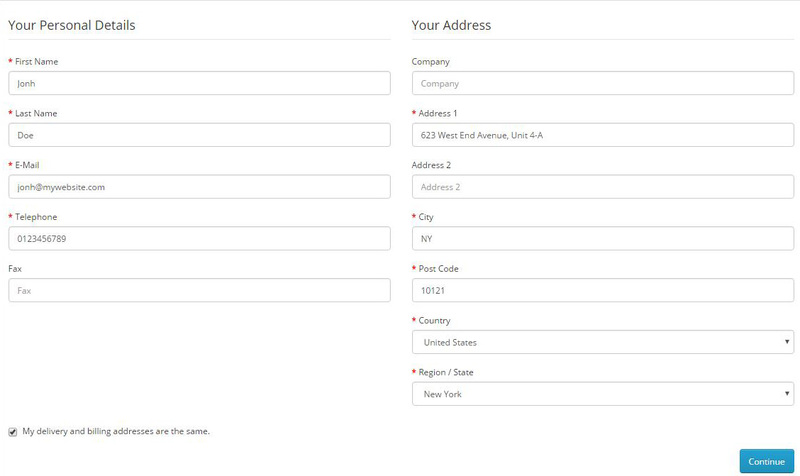 Select the second way to pay on the bottom of the login form, and then click "Pay with an online bank account, debit or cradit card, or Paypal Credit", you will be not required register paypal account in there. 4 Click "Pay Now" when you complete the input. Simply bring your cash payment in local currency (where applicable) to a participating Western Union Agent location, and complete the payment services /quick pay form (also known as the Blue Form). Within minutes, you will receive a notification indicating your payment is completed. A small fee is charge for this service. NOTICE: Please email your ORDER NUMBER, WESTERN UNION CONTROL NUMBER, ORDER AMOUNT, SENDER'S FIRST and LAST NAME, SENDER'S ADDRESS, STATE and COUNTRY, and SENDER'S PHONE NUMBER TO Sale@Hominter.com after you send payment through Western Union.